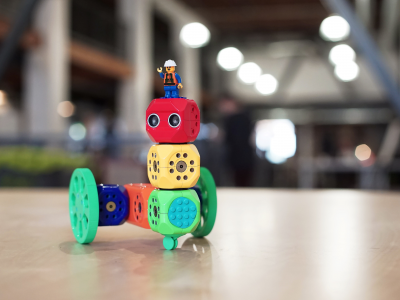 San Francisco, September 24, 2015 – Robo Wunderkind is a programmable robotics kit for children of all ages. On Monday, September 21, it was launched on Kickstarter, with early bird pledges starting from just $79. 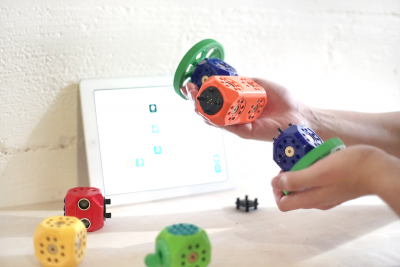 Robo Wunderkind is revolutionizing how coding is taught through robotics. Kids of all ages find it easy and enjoyable to play with! Robo Wunderkind is a set of blocks for building robots. 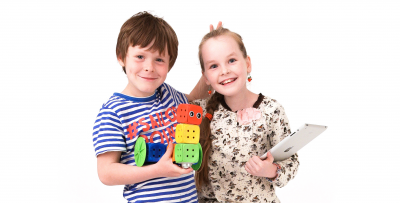 On the outside, Robo blocks are child friendly and safely encase the sophisticated electronics contained on the inside. These electronic components transform regular blocks into programmable robotic components. By just snapping blocks together, even a five year old can build a robot. The fun doesn`t stop there: kids can playfully program the robot in an intuitive app. Modular, colorful, and LEGOTM compatible, this is the toy that opens up children`s eyes to the world of technology. Rustem Akishbekov, the founder and CEO of Robo Wunderkind, initially came up with the idea of a child-friendly programmable robot while trying to teach his friends the basic of coding and robotics. When he realized how complicated it was for new-to-programming users, he set out to make learning coding and robotics as fun and simple as playing with LEGOTM. Robo Wunderkind connects to Android and iOS devices via Bluetooth. 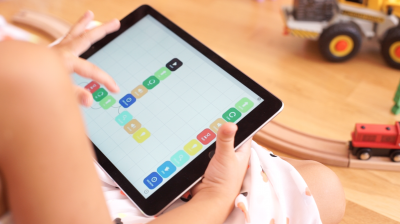 Kids can use the app’s visual drag-and-drop interface to program it. This early learning method means that children aren´t hindered if their reading level is still developing. Once children have mastered the basics of coding, they can move on to program their robot with Scratch, a fun programming language for kids developed at MIT. Robo Wunderkind is unique because children need not have any prior programming experience to get going. Furthermore, the cubes‘ magnet-free and secure connection system makes Robo Wunderkind stand out from the crowd. Robo Wunderkind’s innovative design has been turning heads in Europe, earning robotics award from Futurezone and the German robotics company Festo, as well as multiple startup awards. Robo Wunderkind comes in three sets. Kickstarter prices started at $79. There is a sliding price scale depending on the cube quantity and complexity. The cubes’ colors relate to their function: red is a proximity sensor, blue is a motor, orange – the main controller, and so on. The most advanced set comes with a digital camera and a weather sensor. With these special functions, your children can give weather forecasts or even surprise you with their first filming endeavors. Robo Wunderkind has been designed so that flat LEGOTM adaptors can be attached, making the blocks compatible with LEGOTM. Children can then personalize the robots they have built with LEGOTM blocks or figures. Anna Iarotska, COO and Head of Business Development at Robo Technologies says, “Kickstarter is the perfect place to launch Robo Wunderkind, as it hosts a community of people who value innovation, creativity, and fun. We look forward to seeing what the kids out there will build with Robo Wunderkind”. With their Kickstarter campaign, which will run until October 29, the team is hoping to raise $70,000. The funds they raise will go directly towards producing the very first batch of robots, with shipping scheduled for Summer 2016. Rustem Akishbekov founded Robo Technologies, Inc and brought Anna Iarotska and Yuri Levin on board in 2013. The company is based in Vienna, Austria and San Francisco, California. The founders have gathered together a team of passionate engineers and designers who have been working on the project for two years. In the summer of 2014, the team was part of the first worldwide hardware accelerator HAX. The progress made there was incorporated into Robo, earning them the „Robot of the Year“ Award from Festo and the Austrian Startup of the Year Award. Dieser Eintrag wurde veröffentlicht in Crowdfunding, Development, English, Fun, Hardware und verschlagwortet mit crowdfunding, Lego, Robo Wunderkind von Sebastian Trella. Permanenter Link zum Eintrag.